“The good news is that healthcare organizations are experimenting with technology to improve collaboration, and decision-makers are starting to see IT as directly related to patient care, rather than merely an overhead cost.” InformationWeek, November 19, 2001. Hospitals, clinics and doctors’ offices have had to choose between up-to-date medical technology and a well-networked computer system. But now robust networks are becoming critical to patient care - and reducing costs - as doctors increasingly depend on digital diagnostic aids and rapid access to patient records. 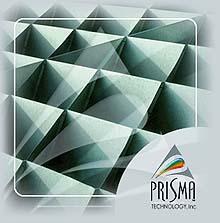 Prisma provides comprehensive technology examinations and diagnostic evaluations of your infrastructure. We develop cost effective technology plans and establish the critical priorities for healthy, robust and relevant technology networks. We design and implement appropriate security procedures together with disaster recovery planning and support. We select and/or develop suitable clinic management packages and guide you through the implementation process. We provide outsourced management, technical support and training services. We are committed to ensuring that information technology serves the fundamental purpose of healthcare entities - delivering quality care to their patients.